Florida criminal defense attorney Alfredo Izaguirre is the founder and principal attorney at the boutique law firm of Alfredo A. Izaguirre, P.A. Mr. Izaguirre is located in Coral Gables, Florida and serves clients in Miami, Broward, West Palm Beach, Ft. Pierce and Ft. Myers, as well as throughout the state of Florida and worldwide. As a frequent practitioner of federal criminal law, Mr. Izaguirre’s practice often leads him to accept federal cases from out of state, and he is also experienced in international criminal cases, including extraditions. Alfredo Izaguirre represents clients in all stages of the legal process, including investigations and grand jury proceedings; arrests, arraignments, preliminary hearings and probable cause hearings; plea bargaining; trial; post-conviction and appeals. Mr. Izaguirre represents the accused in all state and federal criminal charges, from traffic offenses and DUI to drug trafficking, alien smuggling and murder. Although he specializes in criminal defense, Mr. Izaguirre also represents clients in select civil matters, including civil litigation. In addition to his criminal defense and civil litigation practice at Alfredo Izaguirre, P.A., Mr. Izaguirre teaches classes as an adjunct professor at Florida International University on various criminal law topics, including criminal law, criminal procedure, criminal trial advocacy, and justice and the constitution. He has also made appearances as an expert on numerous television and radio programs, discussing different aspects of the law for the benefit of the public. 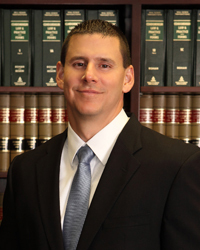 Mr. Izaguirre is professional and knowledgeable about all areas of the law. He was recommended to me after I was arrested and I was shocked at the outcome of my case. He is the best criminal defense attorney and I recommend him to everyone. © 2018 - 2019 Alfredo A. Izaguirre, P.A., Attorney at Law. All rights reserved.